To provide a brief background, the Malaysian Department of Islamic Development (or, in its local acronym, JAKIM), is the central government agency in charge of Islamic affairs in Malaysia, including the regulation and certification of products that are deemed halal, or permissible in Islamic law. Consumer goods which have met JAKIM’s halal standards are typically affixed with its halal certification mark. In 2010, one Mrs Paola Vergamini of Castelnuovo di Garfagnana, Italy, applied to register an identical mark with the European Union’s Office for Harmonisation in the Internal Market (OHIM). The mark was filed for a broad range of goods and services in Classes 5, 18, 25, 29, 30, 31, 32, 43. Her application naturally did not sit well with the Malaysian Government, which promptly filed opposition proceedings at OHIM against Mrs Vergamini’s application on the basis that it is identical with an earlier mark covering identical goods or services, resulting in a likelihood of public confusion in the territory in which the earlier mark is protected, per Articles 8(1)(a) and (b) and Article 8(4) of EC Council Regulation No 207/2009. 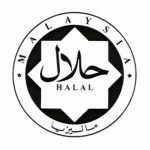 The Malaysian Government also claimed that the halal certification mark is a well-known mark in an EU Member State, and a non-registered mark in the United Kingdom, which it claimed for a range of goods and services, including food. 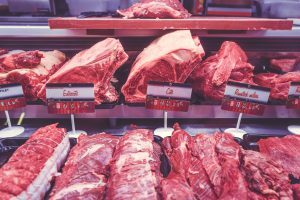 However, the Opposition Division found no proof that the halal certification mark was well-known in any Member State of the European Union. It also held that there was insufficient evidence that the mark had acquired goodwill in the UK. The opposition was dismissed in its entirety and the matter went on appeal. The first Board of Appeal of OHIM subsequently rejected the appeal, essentially taking the view that the Applicant (the Malaysian Government) had not established the well-known character of the earlier sign in the EU and, specifically, that none of the evidence proved that the public recognised the sign. The Malaysian government then took its case to the EU General Court. there has been consequent damage to the Applicant’s goodwill arising from such misrepresentation. The Applicant claimed that the Board of Appeal wrongly required a minimum level of “required” or “sufficient” goodwill in order to satisfy the first condition of passing off. The Court found that, contrary to the Applicant’s claim, the Board of Appeal never required it to demonstrate a minimum level of goodwill in its certification mark, but merely required proof that the goodwill existed as a precondition for passing off. It was also found that, although the Applicant was the sole owner of the goodwill, it failed to prove that such goodwill existed among the relevant public (namely retailers, wholesalers and importers as well as end consumers). The General Court further held that the evidence provided by the Applicant was insufficient to establish that there was genuine use of the certification mark. In the Court’s view, the Applicant merely showed that it advertised and disclosed its mark, but did not provide proof regarding the mark’s perception by Muslim and non-Muslim consumers. Consequently, the Malaysian Government’s action was dismissed with costs. In light of the above decision, and if not challenged further, Mrs Vergamini’s application appears set to be registered in the European Union in respect of a wide range of goods and services. If successfully registered, it is likely that the mark could lead consumers into falsely believing that the products and services originate from Malaysia, or are otherwise certified as “halal” by the Malaysian authorities, when the appropriate standards for attaining “halal” status may not actually have been complied with. Most alarmingly, the mark is filed in respect of, among others, “beers” in Class 32, which are definitely not a halal product. The specifications in Classes 18 and 29 also do not make any distinction with regards to non-halal animal products. This would certainly raise confusion in the market as well as uncertainty as to the reputation of the mark itself.